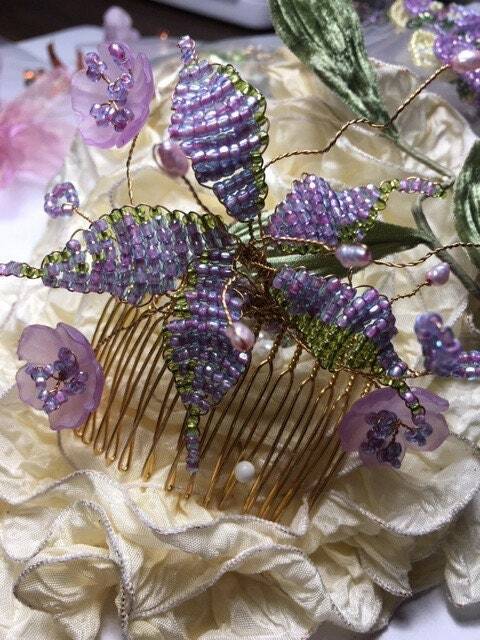 This magical hair comb has a delicate Victorian appeal. 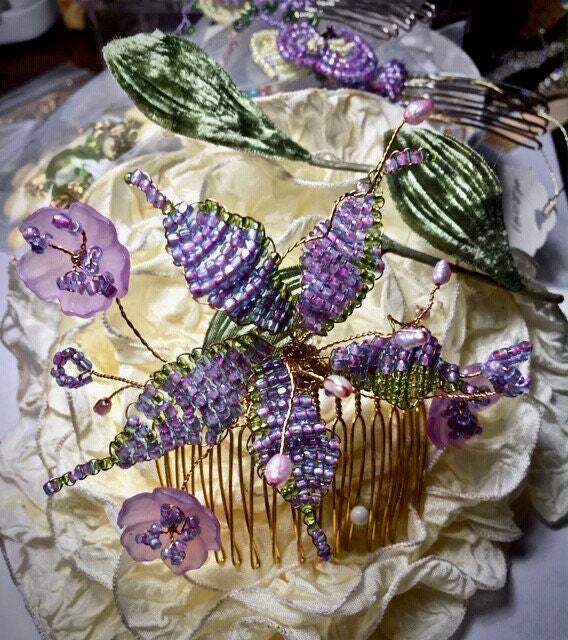 Created with vintage lilac and green seed beads. 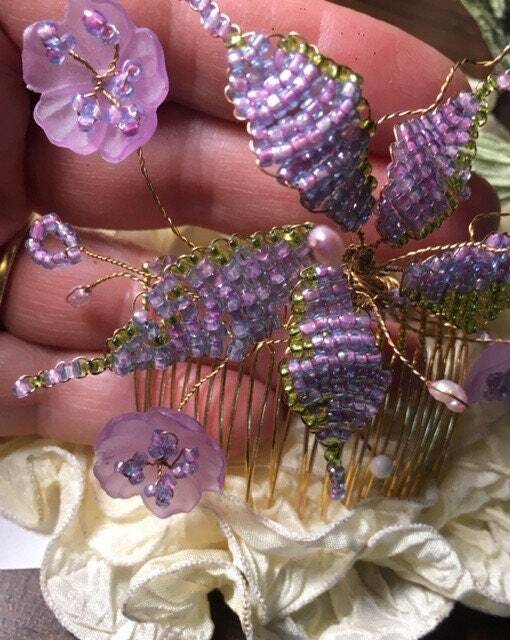 White seed pearls and small purple flowers accent the comb. It seems as if it is floating. It would be a perfect adornment for a bride or brides maid. 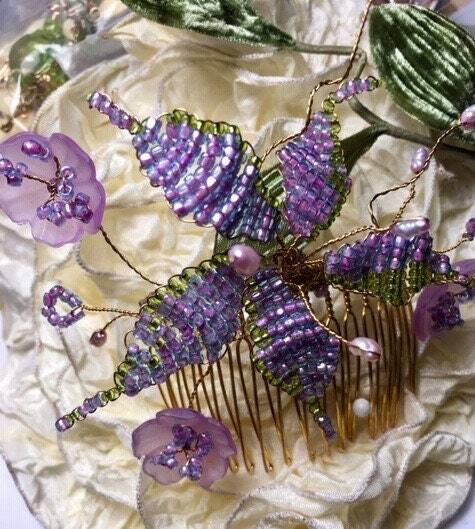 Light up your evening with this romantic and enchanting little comb.